Alongside its latest flagship, OnePlus is announcing another high-end product. The OnePlus Bullets Wireless are earbuds that connect to your phone using a Bluetooth connection. It’s the first product OnePlus has ever introduced at a launch event that wasn’t a phone. OnePlus is using metal, magnets, and an assistant to make this your next pair of wireless earbuds. The OnePlus 6 still has a headphone jack, but OnePlus felt now is the right time to introduce wireless earbuds since, in addition to mastering a balance between design and sound quality, consumers have shifted away from wired connections for audio. OnePlus doesn’t have wireless earbuds that are completely free from wires, though. The OnePlus Bullets Wireless has a cord between the two earpieces, similar to Google’s Pixel Buds. Both earpieces are aluminum-based. Magnets are also inside, meaning you can stick them together and automatically turn them off. And they’re water-resistant. If you plan on working up a sweat or standing out in the rain, the OnePlus Bullets Wireless won’t be damaged. OnePlus is showing an interest an interest in durability on top of sound quality. OnePlus’ wireless earbuds have two 9.2mm moving coil drivers and energy tubes. During its unveiling, the brand showed real musicians blindly test the OnePlus Bullets Wireless and a $175 alternative. The product from OnePlus was overwhelming preferred, of course. As is the case with its phones, battery life is imperative for these wireless earbuds. 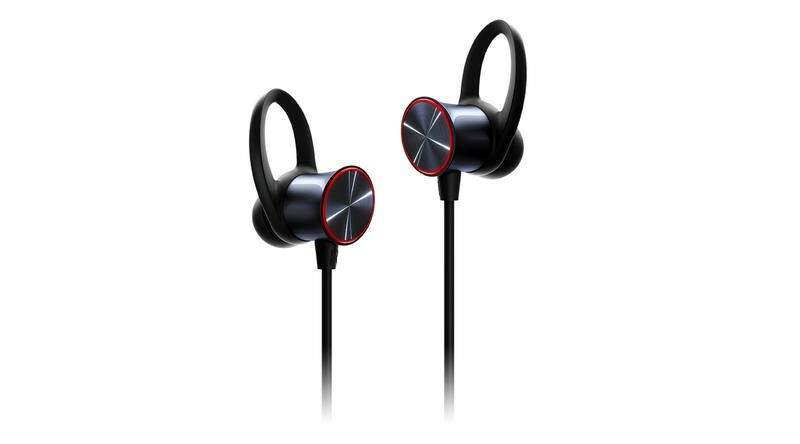 The OnePlus Bullets Wireless is capable of running for up to five hours after a mere ten minutes of charging. By the way, it uses the same USB-C port that numerous mobile devices have these days. You’re also able to access Google Assistant directly. The digital assistant will hear and respond from the wireless earbuds rather than your phone. The OnePlus Bullets Wireless were spotted on the Bluetooth SIG’s website last month, and back then we suspected its price would come in at $99. It turns out we were wrong. OnePlus will actually sell its wireless earbuds for just $69 around the world. With its pricing for phones being raised over the years, there’s no doubt OnePlus has us impressed by delivering wireless earbuds at such a low price. We’ll check out the OnePlus Bullets Wireless once they’re released on June 5.